As TCBSBM is an organization works to improve upon quality education for African Americans in the state of Texas, it has adopted a number of resolutions in support of that cause. completion rates of all student populations in Advanced Placement (AP) and dual-credit courses. vital to the success of all students. The TASB Board recommends adoption. Texas law requires school districts to offer all students the opportunity to earn up to 12 college credits while in high school. Districts can comply with this mandate by offering dual-credit or AP courses. School districts must notify annually the parent of each student enrolled in grade 9 or above of the availability of such courses. This notice may be posted on the district’s Web site. Courses which simultaneously provide students with high school graduation and college credit keep students engaged in high school and provide incentive for them to go to college. For many students, a dual-credit course often provides their first exposure to a college campus. Allowing students to earn college credit while in high school also eases the financial burden of higher education. For these reasons, school boards should ensure that their district has a process for actively notifying all students of dual-credit and AP course opportunities. TASB shall support the equitable and consistent enforcement of discipline for all students. District Rationale: The Texas Caucus of Black School Board Members (TCBSBM) understands that information on discipline actions reported in the Public Education Information Management System (PEIMS) is not proportionate to the student population within the state of Texas. This gives an appearance or assumption that a particular ethnic group or groups may be targeted more than others. Consistent equitable discipline reporting and enforcement for all student populations is paramount for a conducive learning environment. The TASB Board recommends adoption. School discipline has an impact on student achievement and a student’s decision to drop out of school. Public Education Information Management System (PEIMS) data suggests that the number of disciplinary referrals of minority students is disproportionate to the number of white students referred. However, PEIMS does not currently link the ethnicity of the student with the offense and type of placement the student receives. Consequently, it is impossible to verify whether the disproportionate representation of minority students in discipline placements is a result of racial discrimination. While school districts must discipline students who violate local policies or state law, students should be treated fairly and equally regardless of their race, color, or national origin. District Rationale: The Texas Caucus of Black School Board Members (TCBSBM) understands that Texas is facing an $18–20 billion budget deficit and that increases in programs may not be possible. TCBSBM understands the importance of preparing students early for success with adequate funding for early childhood programs. This is coupled with the accessibility of and the equipping of all students with the necessary tools to be college ready. It is vital to maintain the funding for these two important areas with the understanding of the probable fiscal future in the Texas budget. variety of teaching strategies to offer students different types of relevant experiences. TCBSBM supports a school finance formula that allows all students access to a challenging curriculum. TCBSBM supports early childhood development and curriculum that meets and exceeds the needs of all students. TCBSBM supports student discipline that is equitably enforced with all student populations. TCBSBM supports equitable and properly funded DAEPs that will provide a curriculum with coursework necessary for graduation. This curriculum may consist of several delivery methods, which may be correspondence courses, distance learning, or summer school with a teacher to student ratio that is conducive to the students’ learning environment. Resolution: TASB shall support equitable and consistent discipline enforcement and reporting that is not biased or disadvantageous of one or more student ethnic groups. Statement of reasons: TCBSBM understands that the information on discipline actions reported in PEIMS is not proportionate to the student population within the state of Texas. This gives an appearance or assumption that a particular ethnic group or groups may be targeted more than others. Consistent equitable discipline reporting and enforcement for all student populations is paramount for a conducive learning environment. 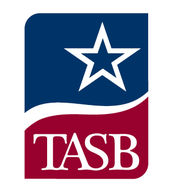 Resolution: TASB shall support a rigorous curriculum provided by a high quality staff for students that are placed in any school disciplinary settings. Statement of reasons: TCBSBM understands that students placed in disciplinary settings within a school system may not receive a continued rigorous instruction. A student’s academic opportunity and success should be reinforced and not limited while in any school disciplinary setting.